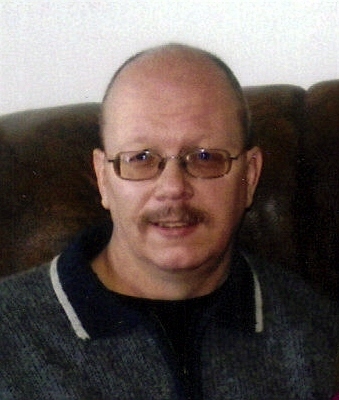 Milton Douglas Johnson, 50, passed away April 17, 2012 at the University of Minnesota Medical Center. He was born on February 15, 1962 in Watertown, South Dakota. Milton was raised in Castlewood, Brookings, Salem, Dell Rapids, Ft. Pierre and Ruidoso New Mexico. He graduated from Stanley County High School. He enlisted in the Navy from 1980 to 1985. He was united in marriage to Mary Buus on June 28, 1996 in Sioux Falls. Milton worked for UPS for 11 years and Malloy Electric for 3 years. He was a motorcycle enthusiast. Milton is survived by his wife: Mary Johnson; children: Jared Brinkman, Stacy (James) Schmidt, Stephanie VanDerWerff; and five grandchildren, all of Sioux Falls; five sisters: Judy Stoffers, Janet (Tom) Larson, Pam (Mickey) Buchholz, all of Sioux Falls, Patti (Keith) Jennings, Ft. Pierre, SD and Janine (Wayne) Bartunek, Montevideo, MN; and one brother: Ken (Patty Jo) Johnson, Ankeny, IA. He is also survived by several nieces and nephews, and several great-nieces and nephews. He was preceded in death by his parents, Kenneth and Georgia (Schultz) Johnson and by two great-nephews. A graveside service will be May 6, at 2 PM in Mount Pleasant Cemetery with Full Military Rites by the American Legion Post 15.